Please cancel by 11 a.m. on the Friday prior to the meeting, if you are unable to attend - no shows and late cancellations will be invoiced. Free to Student members thanks to Freeport-McMoRan, Inc. May join online free - click "Join or Renew"
Abstract: The Florence Copper Project (FCP) is located in central Arizona, about 65 miles southeast of Phoenix. FCP is centered on a large copper oxide and sulfide deposit, which was discovered in the late 1960s and explored by several mining companies since that time. Although conventional open pit mining techniques were initially investigated, In-Situ Copper Recovery (ISCR) has been determined to hold the best potential for developing the deposit. In-situ techniques have been used successfully in conjunction with conventional copper mining in Arizona and in stand-alone operations to extract other minerals around the world for decades. However, FCP may be the first stand-alone ISCR facility to be developed. The former owner of the Florence copper deposit, BHP Copper Inc., obtained state and federal permits to conduct a field test in the late 1990s. This test included installation of an ISCR well field and copper recovery testing. This was followed by restoration of the water quality in the well field and permit-driven monitoring. All testing from BHP and subsequent monitoring indicates that ISCR can be conducted safely and successfully at the site. The initial parent company of Florence Copper Inc. (FCI) purchased the property in late 2009 and continued studies to support permitting and determine the feasibility of ISCR at the site. A 2017 NI 43-101 Technical Report indicates positive economics for the development of a commercial operation. In late 2014, FCI was acquired by Taseko Mines Limited. Taseko is a publicly traded Canadian mining company based in British Columbia that operates the Gibraltar Mine, a major copper and molybdenum mine. It owns a 75% interest in Gibraltar in addition to other mining developments in British Columbia. FCI has proposed a two-phase development plan. Phase 1 involves operation of a small-scale production test facility or “PTF” to optimize the technical and safety aspects of the project. During its operation it will produce up to 99.999% pure copper cathode. The PTF will assist in demonstrating the science and safety of the in-situ process to regulators and the local community. Results from the PTF will also be used to refine plans for the development of the full-scale commercial operation in Phase 2 while providing the data to support associated permitting requirements. Dan joined Florence Copper in 2011, and has led the company's environmental, permitting and technical efforts with the support of the project team. 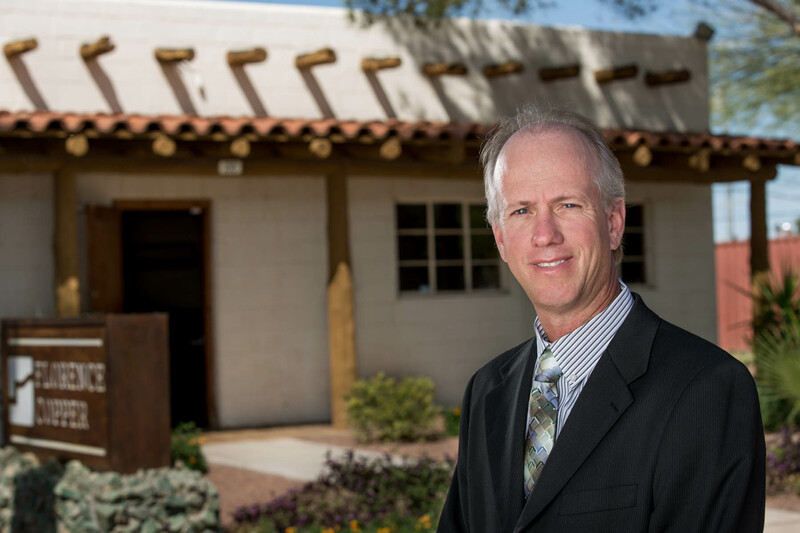 He currently sits on the Arizona Mining Association Board of Directors as Secretary/Treasurer.